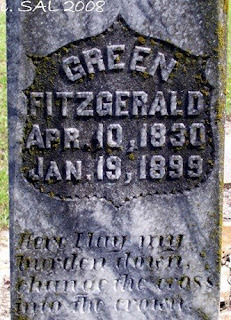 Green Fitzgerald died on this date 110 years ago. He was born 10 April 1830. Green was buried in Elko Cemetery; Houston County, Georgia. Adelaide, wife of William Martin Herritage, Sr., died on this date 95 years ago at age 86. She was buried in Sardis Cemetery; Bibb County, Georgia.